Should cars be allowed to drive along Toll Gavel in Beverley to help boost the high street? It is a question that has to be worth the discussion. Like towns around the UK, Beverley needs to find ways to adapt to protect the town centre businesses. Parking is, of course, a key issue, while there is plenty of space around the edge of the town it is not possible to park or drive down the main street. This is an issue another town has been addressing. Hollywell in Flintshire has recently completed a six-month experiment. Since 1992 their main high street has been closed off to traffic. As a result of this traders say their takings fell by 40pc. 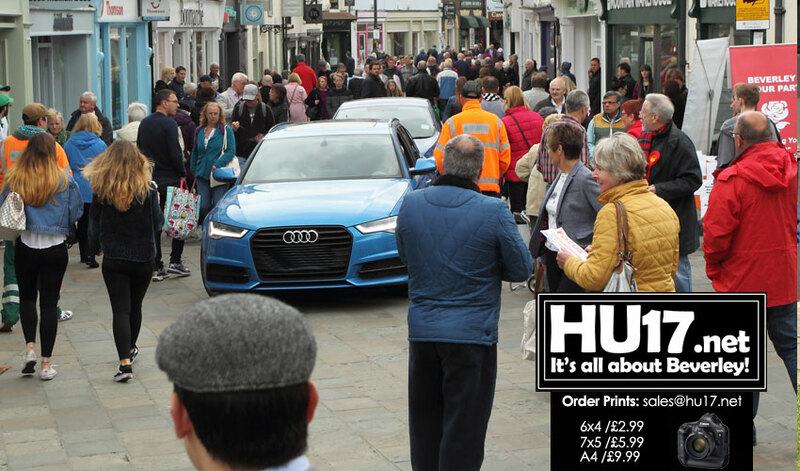 During a six month pilot, the local authority opened up their high street to allow cars to park outside shops. Feedback from that trial showed an increase in visitors and more importantly more money was spent in the local shops. Beverley is, of course, very different from Hollywell. The population in the Beverley is ten times the size and tends to be very busy on Saturday. However, during quieter times in the week could such a scheme help retailers in the town centre. Could allowing cars some level of access to Toll Gavel help boost the local economy. Currently, politicians in the town from all sides are raising concerns over the relocation of the Crown Post Office. One of the main objections being raised is the inability to park outside the WH Smith store. The idea of cars flooding our streets may not be a popular one. However, it seems that from this experiment results show that by allowing cars on the high street helps. With Beverley, while it is a pedestrian area, you often see vehicles, mainly goods vehicles driving on Toll Gavel, so why not cars? In recent years when events have been held in Wednesday Market, the road could not be closed. This was due to access being required. It would not be too difficult to create an area that is safe for people who are on foot. Also, it may not be too difficult to create parking spaces that are highly restricted to very short stays. Ultimately this would come down to the local authority, East Riding of Yorkshire Council. It is hard to see that they would have any desire to open up Beverley like this. That said, with government funding available for incentives to boost high streets in the UK, maybe a similar experiment like the one conducted in Hollywell could be explored. No. Air quality is already shocking. Is this a real article>?